Whether or not you plan to actually jump on a locomotive this fall, you can easily board this train right in the comfort of your living room! What you can expect is connection to your family, a choo-choo song or two, and a trip as wild as your imagination! Kids love train pose. It’s benefits include: a strong core and spinal muscles, improved posture, stretches the shoulders and chest, and calms the brain. 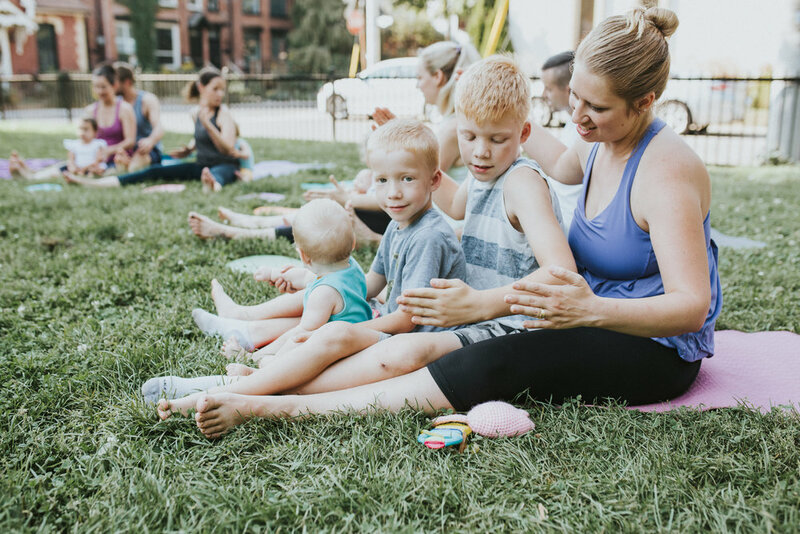 Train pose allows children to check in with their posture, and who can’t resist and giggles and fun of snuggling close to your family members all while chugging down the railroad track! Start by sitting with legs out straight, tallest person at the back of the train and shortest at the front. Snuggle your seat between the legs of the family member or friend behind you. Arms are bent to ninety degrees at the elbow and can connect to the elbow of the person in front of you. These are the connecting rods of your train’s wheels! There you have it, you’ve made a train! What kind of fun can you have now?! Maybe you’re an old steam locomotive crossing through the colourful Great Canadian Rockies in autumn, or perhaps you’re on the rails in India squished like a sardine. Oh no! You’re just outside of Rome stuck in a mountain tunnel!! Eventually you pull into the terminal and jump off the train, the wind in your hair and a big smile on your face, ready to take on the next part of your adventure. If there’s another creative expression of train pose you love, please share it with me!